I’ve been given the fantastic opportunity through the London Art College to try out Derwent’s new Graphic Pencil range and how excited I am! The package dropped through the post and I couldn’t wait to start using them. First things first, what’s in the package? Well I’m delighted to find 3 tins of 12 pencils, ranging from 9H to 9B. Just the pictures on the front are enough to inspire me! The piece is 10 x 12 inch on Mixed Media paper. 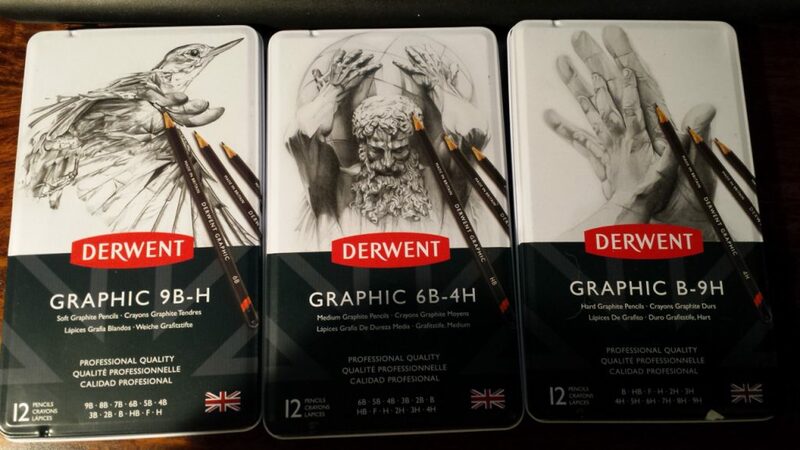 The graphite pencils I already have are a set of 24 Derwent Graphic, so I was interested to see how different or similar these would be in comparison. 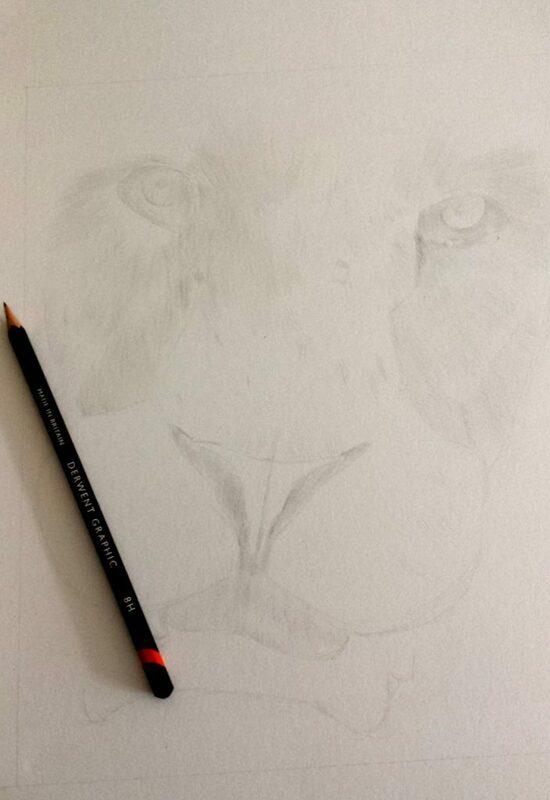 I started by adding a base layer using the 8H pencil. At first I was dubious of this – my older range can leave dents in the paper if used with a little too much enthusiasm (and I can be quite heavy handed); however, even with the 8H I can feel how soft these pencils will be. This meant the under layer could be put down and then easily removed or blended. 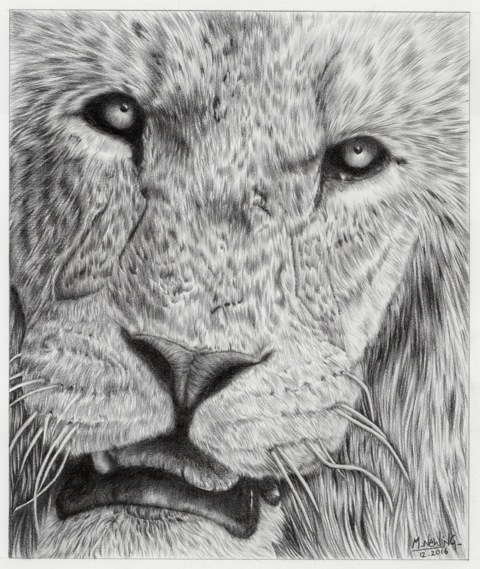 The graphite seemed to flow onto the paper with such ease, and with just a little extra pressure the tonal range in this one pencil alone was easy to see. Now to start building the darker tones. As I mentioned, the 8H was so soft it led me to believe the B range was going to be awesome for the deep shades. I wasn’t disappointed! I built up these tones with a 2B, 3B and 4B. Each had its own quality, some were better for fur some better for shaded tone, but all were smooth to lay down. What was a 9B going to offer? 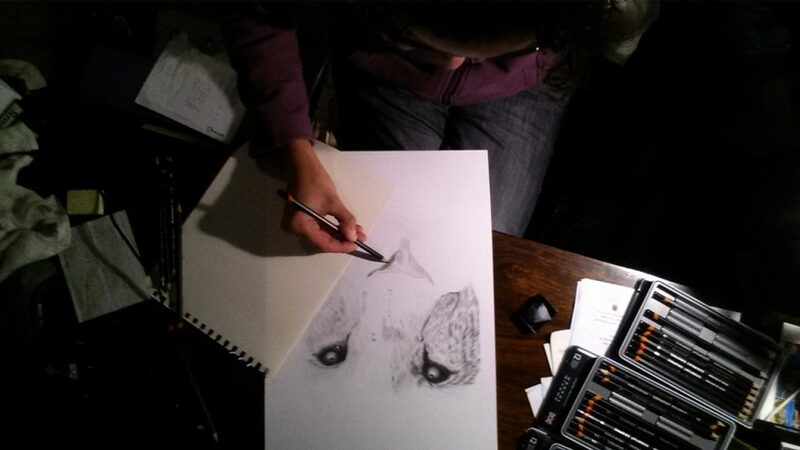 In total, I used only 9 pencils for this particular piece. They were: 8H, 4H, F, B, 2/3/4B and 6/7/8B. At least that’s what I had left on my table when I finished it! They seemed to give me everything I was after. 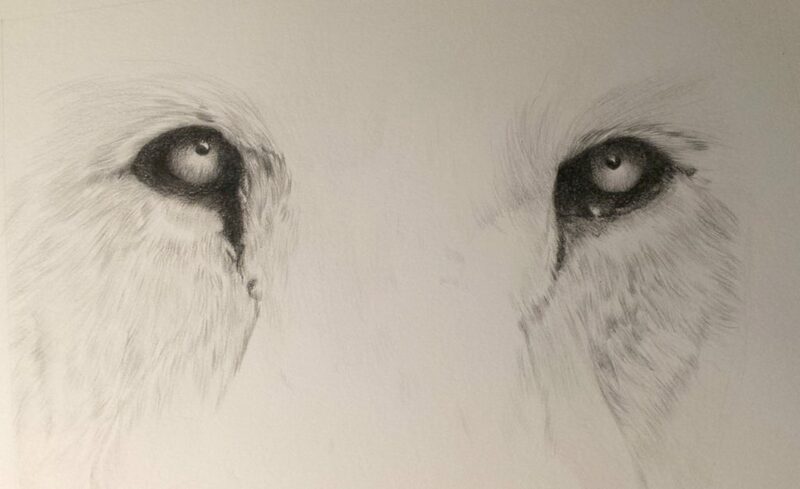 For the fur, I preferred to use the 2B as a starter, the 4/5B for the darker single strokes and then a final layer of the 4H to give some definition. 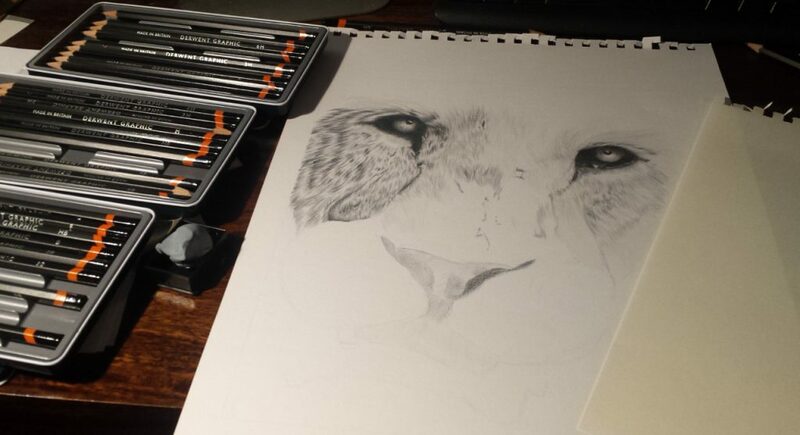 I know I have plenty to learn when it comes to both drawing techniques and choosing materials but I would definitely recommend these pencils. They seem to glide on the paper with such ease; they lay down a great range of tone, but are also easily removed – even when laid on fairly heavy. I used a basic pencil sharpener and didn’t have any lead breaking either as I have had with previous pencils. I found the more I used Graphic Pencils, the easier it was to pick certain ones for specific jobs.